most hardy of perennial flowers in Nova Scotia. The day lilies (hemercallis fulva) are in bloom everywhere in Nova Scotia. So I guess it’s time to talk about eating them! Day lilies get their name from the Greek for day and beautiful, since most day lily flowers only last for 24 hours. Did you know you could eat them? You may be familiar with one particular form, the dried lily bud. These are a common ingredient in Asian cookery and sometimes go by the name of golden needles (although they are anything but sharp…) They are a common ingredient in Hot and Sour Soup, Buddha’s Delight and Mu Shu Pork. But the Asians do not have a monopoly on their use. Europeans have also enjoyed the delights of this very common flower. Many garden flowers were used in cooking before the widespread use of refrigeration. It was one way of masking off taste, one would assume. I purchased a very interesting book at a used book store this last weekend. 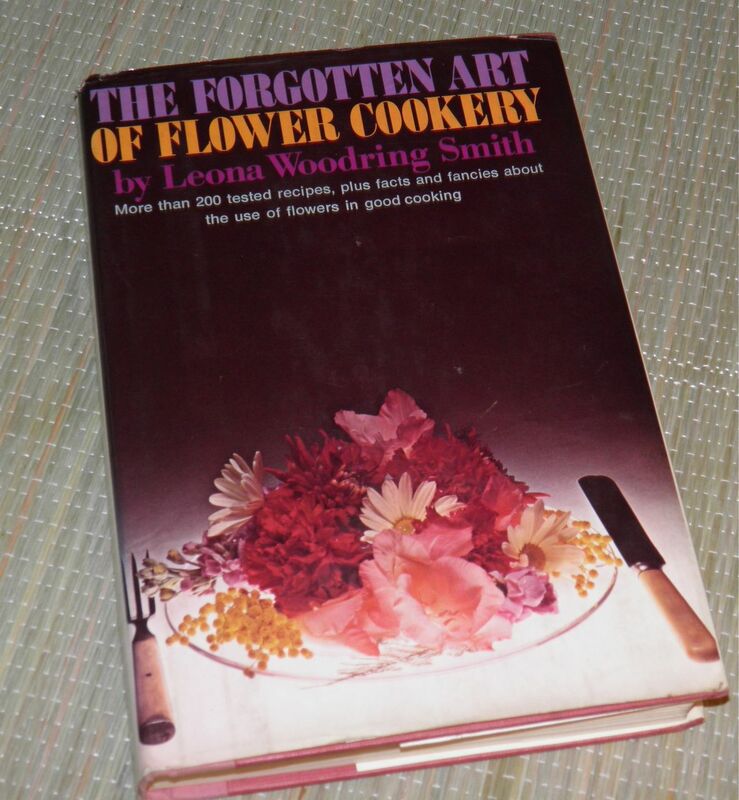 It’s The Forgotten Art of Flower Cookery, by Leona Woodring Smith (Harper & Row, Publishers, 1973). It is still in print and available at Amazon.com for far more than I paid. 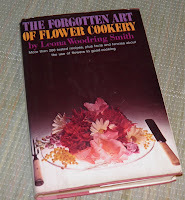 She talks about culinary uses for no less than 25 different common flowers. I will be “investigating” this book for quite a while. But today we cast our mind to day lilies. 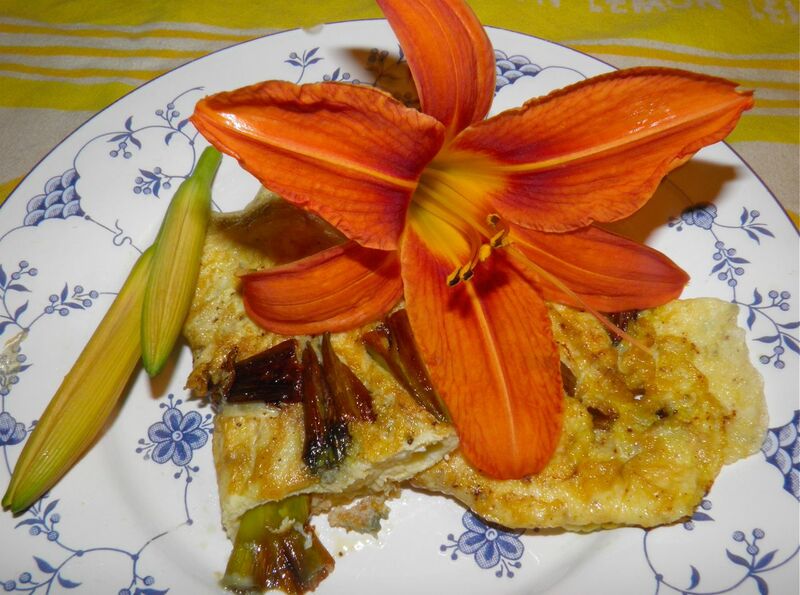 In the prep notes, she says that day lilies are similar to the taste of chestnuts or beans with a touch of honey. Intriguing. 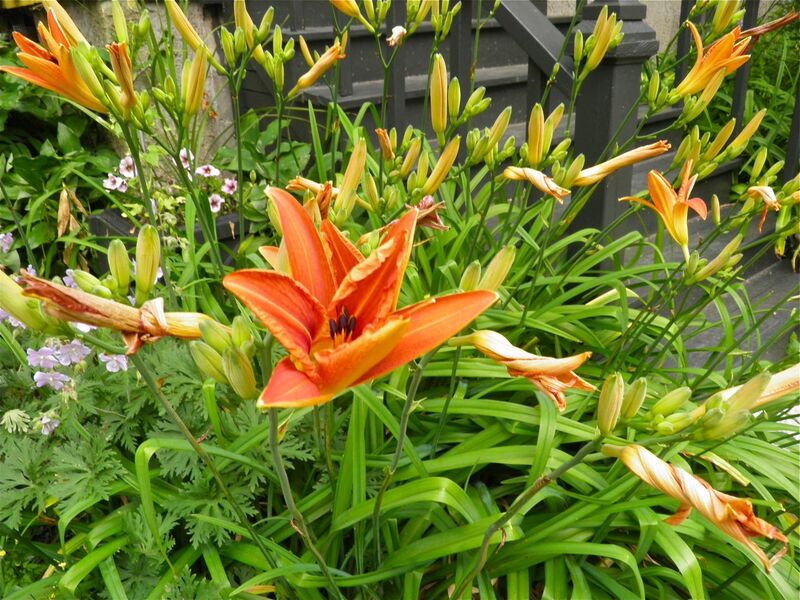 She also says that the day lilies are at their peak of sweetness the day AFTER they bloom, which means you can enjoy the flower. Some recipes rely on the opened flower for presentation effect. In all cases you are to wash them gently and remove the stamens and pistils (except when using buds). 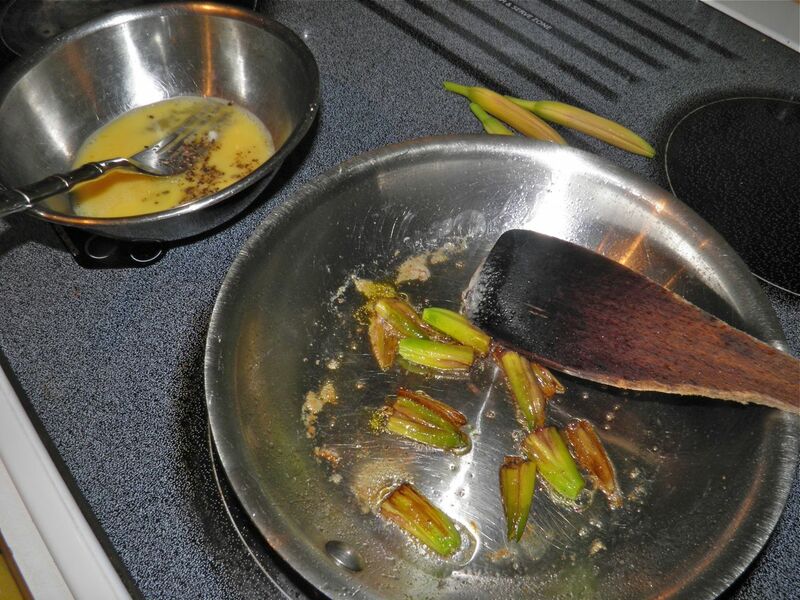 Step 1: sauté the buds. Since the book is still in print I cannot divulge individual recipes from it, but some of what she offers are recipes like Day Lily Soup, Day Lily Asparagus Salad, Day Lily Chicken Salad Special (which sounds amazing), Day Lilied Duck, and several more. The common day lily is just that — common. It’s pretty much everywhere. A word of caution though: use the orange fulva variety, as I have read that some cultivars may not be edible. So resist the urge to use fancy varieties, like that pretty purple one you have growing out back… although I have read that all cultivated varieties are edible. Do some research if you wish. I think all the cultivars may be OK to eat, but I think it is best to err on the side of caution. This was my breakfast. 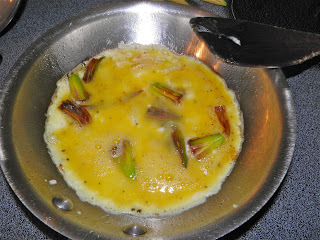 The taste of unopened day lilies are kind of nondescript, I guess kind of like asparagus. You can’t get much simpler than this recipe. Step 2: add the egg. Wash the day lily buds and pat dry. Remove any stem and cut in two. Heat the butter in an omelet pan. Add the lily buds and sauté until they begin to brown. This will only take a minute or two. Mix the egg with the water, salt and pepper. Pour over the buds in the pan. Let the egg set somewhat and then pull the cooked egg in to the cntre slightly and let the uncooked egg escape out to the pan. Cook until your desired doneness is achieved. Fold over as you plate the omelet.